In our everyday life we unknowingly are doing planning. For example, let’s suppose that you have just moved into a new house or an apartment and trying to decide when should you get-up in the morning, when should you leave the house, what route should you take to go to the office if you have a choice? So that you arrive at your place of work on or ahead of your time? Let’s face it…that 1% of the time you will run into a traffic jam due to a torrential rain that day.. On that day you will be late arriving at work…but so would most of your co-workers! However, when we are planning for getting some work done which requires spending, let’s say, about $20,000 dollars of your hard-earned money on a home improvement project. It may be building a backyard patio, or a gazebo. “The nicest thing about not planning is that failure always comes as a complete surprise and not preceded by a period of worry and desperation”. But seriously, do you want to be in such a situation? Before we go any further, let’s get to know the classic definition of a project. “A Project is defined as a temporary endeavor undertaken to create a unique product or service., which has a definite start and a definite finish, and has a budget associated with it”. Typically, therefore, if you embark on a project which you are going to do-it-yourself, you do need bit of planning. Fortunately, there are various techniques that have been developed that you can utilize to start and finish your project on time, and within your budget. One such technique is called a “Gantt Chart”. In its simplest form, you would start by listing activities that you think are important in getting your back-yard patio done: Marking location of the patio, its rough size, preparing rough sketches, preparing a list of materials that you need to buy….and so on. Once you do this, you can try and organize this list in a sequence that will tell you what to do first, second, third etc. Then for each of this activity, you can assign a specific duration in days or weeks….Here is a sample above. You can of course add more details. As you add more details, you will be able to minimize any unexpected surprises that you may run into…. After you have added these details, go through each activity one more time to make sure that the sequence you have created makes a logical sense to you…. Also, do one more check. How much time are you allowing between the time your schedule shows you will be completing your project, and the date you must have this patio finished. If you are showing in your Gantt Chart drawing that you will be finishing on the same day that you must have this patio finished, then you are not allowing some “leeway” for any unexpected delays that you may face…My recommendation is that you do allow yourself two to three days of contingency (or more if needed). 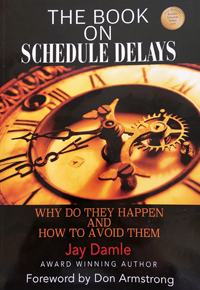 Once you are happy with this schedule, then comes the task of maintaining this schedule on a regular basis, statusing completed activities to make sure that you do remain on schedule. In the above Gantt chart, you will notice that you are progressing as planned. If you do start falling behind, be prepared to put in extra effort to catch up. This may involve getting help from your family or friends. The key is to recognize this sufficiently well in advance so that you can make a course correction while there is time! With success that you will achieve by doing this planning, you will undoubtedly get more ambitious and think of tackling even bigger projects. If you do, there are more sophisticated planning tools that are available to you. Two such tools are called PERT (Program Evaluation &amp; Review Technique) and CPM (Critical Path Method). If you wish to learn more about the Gantt Chart, PERT, or CPM, start by googling them. You will be then entering the fascinating world of Professional Project Planners.